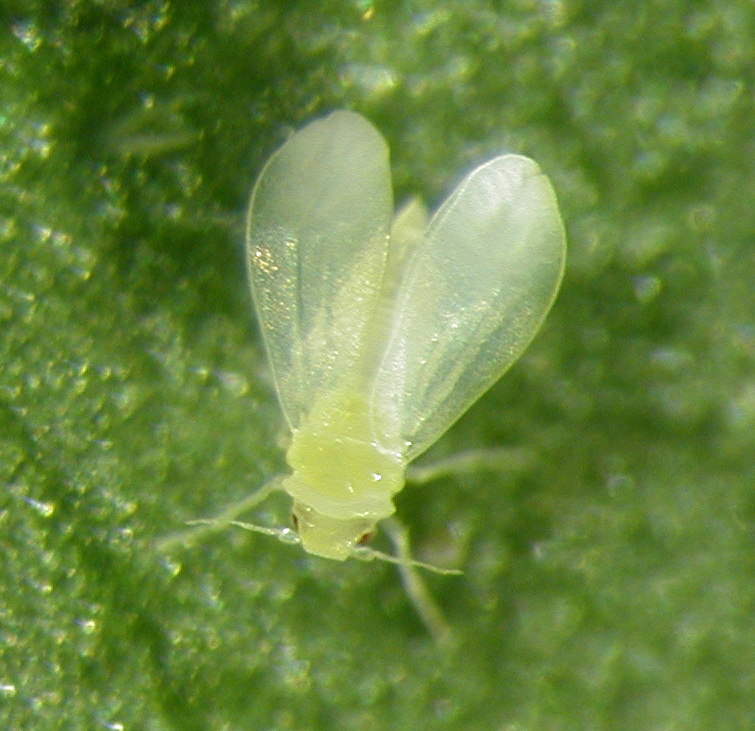 Silverleaf whitefly is a major invasive pest, attacking over 600 plant species including many vegetables and cotton. You would probably remember the Simpsons episode where they travel to Australia, right? Well, for those that haven’t here is a quick rundown: after Bart is indicted for fraud in Australia, the whole family makes the trip down under for Bart’s punishment.The parallel story-line sees Bart release his pet bullfrog (or chazwazzas as they’re more commonly known) into the Australian bush, which then ends up invading the Australian ecosystem and destroying crops. It’s a classic episode that many Australians hold near to their hearts; like any well told joke it works as there is a large element of truth in it. Invasive species are a real threat to not just Australia, but agriculture on a global scale. Each year invasive species cost agriculture industries around the world billions of dollars, while posing a significant threat to import and export trade for many countries. 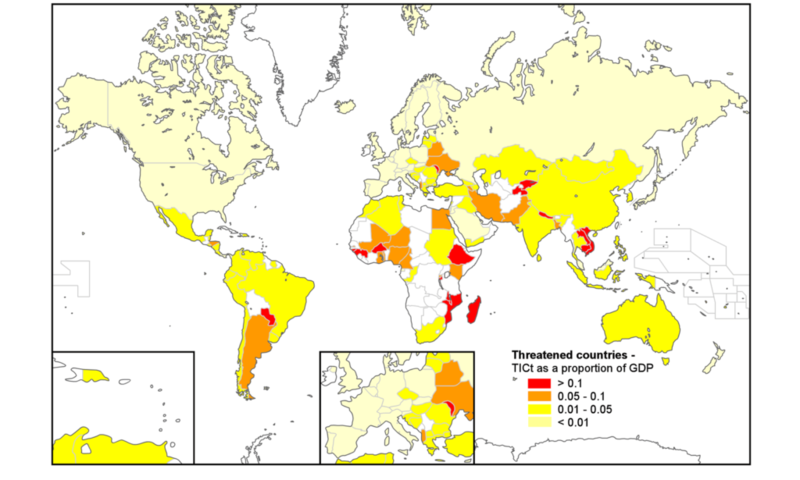 With this in mind we conducted the first analysis of invasive species threat to global crop production on a country-by-country basis. To do this we examined 1,300 invasive pests and pathogens, international trade flows, and each country’s main agricultural production crops. Using this information we could then determine the potential invasion risks and impact for each country individually. Senior researcher Dr Dean Paini said the research found that the most vulnerable countries were located in sub-Saharan Africa. “These countries generally do not have diverse economies making them disproportionately more dependent on agriculture,” Dr Paini said. As trade volumes continue to increase and more trade connections are made between countries, the pressures from invasive species will only intensify. Our research identified the country’s most threatened by invasive species to be from sub-Saharan Africa. Our research also let us determine who posed the greatest threat to the rest of the world, based on agriculture export and the invasive species already established we found that the USA and China posted the greatest threat. While this may make the USA and China sound like big baddies, it’s not all that surprising. Both countries already have a high number of pests, and are the largest agriculture export industries. They’re not as vulnerable as developing countries because of their ability to manage invasive species via pest management, plant breeding and crop substitutions. So we know about the most vulnerable and the biggest threats, but what about our home turf? Are we going to see an invasion of chazwazzas in the very near future? Not quite. While we found that Australia has a relatively high likelihood of invasive species arrival, we have an incredibly strong prevention and management system in place should an invasive species arrive on our shores. Our diverse economy also means that the economic impact would not be as great as other countries. This research is incredibly valuable, as it is the first step in helping Australia and other countries manage invasive species on global scale. “By identifying the countries and regions that are most vulnerable, governments can make informed decisions regarding the deployment of resources necessary to protect their borders and agriculture industries by limiting the further spread of invasive species,” Dr Paini said. You can read the full research paper from the Proceedings of the National Academy of Sciences (PNAS) journal here. Any thoughts about the pest, Russian wheat aphid, newly discovered in Australia?